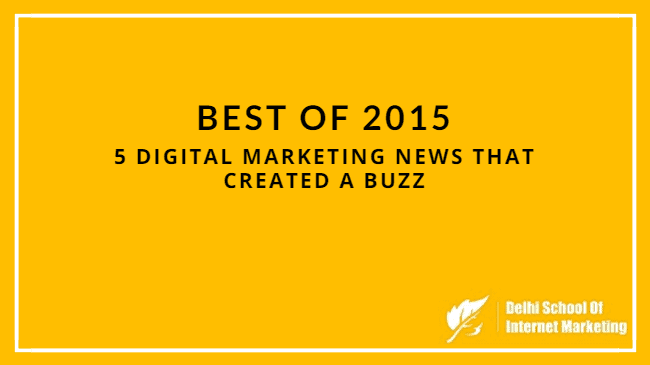 As we barrel headfirst into 2016, let’s not forget the sensational digital marketing moments that made up 2015. From Prime Minister Narendra Modi announces 18 lakhs jobs in digital marketing to India is tipped to surpass 400 million internet users by the end of this year, 2015 gave us plenty of digital marketing news that created a buzz. 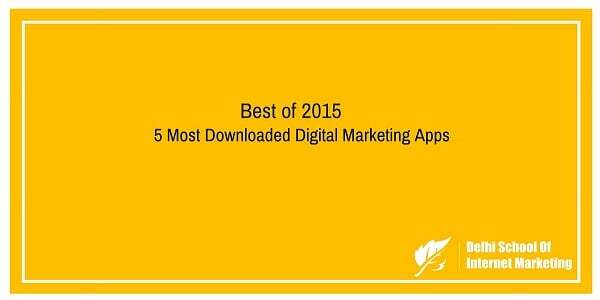 Before we enter in 2016, DSIM recap the best 5 digital marketing news of 2015. Prime Minister Narendra Modi launched the super awaited Digital India Campaign in New Delhi with a view to empower the people of the country through the program. Digital India aims to transform the country into a digitally empowered knowledge economy. PM Modi announced the project will provide employment to 18 lakh people. Google CEO, Sundar Pichai during his first visit to India talked about Google’s vision to develop products to improve access, Internet connectivity for Indians. The project aims at connection millions to Internet with the help of large balloons. The government has in-principle agreed to the project and state-run BSNL will help it take flight in India. The number of Internet users in India is tipped to surpass 400 million by the end of 2015. India has the third largest Internet user base in the world after China and the U.S. The number of active mobile Internet users grew about 99 per cent to 80 million by October 2015 and is expected to reach 87 million by December and 109 million by June 2016. Google announced two new initiatives to strengthen its enterprise presence in India, with a focus on new startups and legacy businesses in the country. Google will offer credits worth $20,000 for Google Cloud Services for 1,000 startups in India over the next one year starting from 2016. These credits will be offered to the startups that are incepted within 5 years and have gained less than $5 million funding. Facebook has over two million Indian small and medium businesses (SMBs) on its platform, has set up a SME Council to help small ventures from various industries share feedback and discuss ideas around leveraging technology to grow their enterprise. Facebook is focussed on helping people connect, including giving them access to the internet, and assisting businesses to grow. India has the second-largest base of Facebook users globally (after the US).